There are many ways to propose. In fact, you’ve got a wealth of inspiration at your fingertips 24/7 thanks to the internet. There are many beautiful engagement stories and videos available to inspire you. 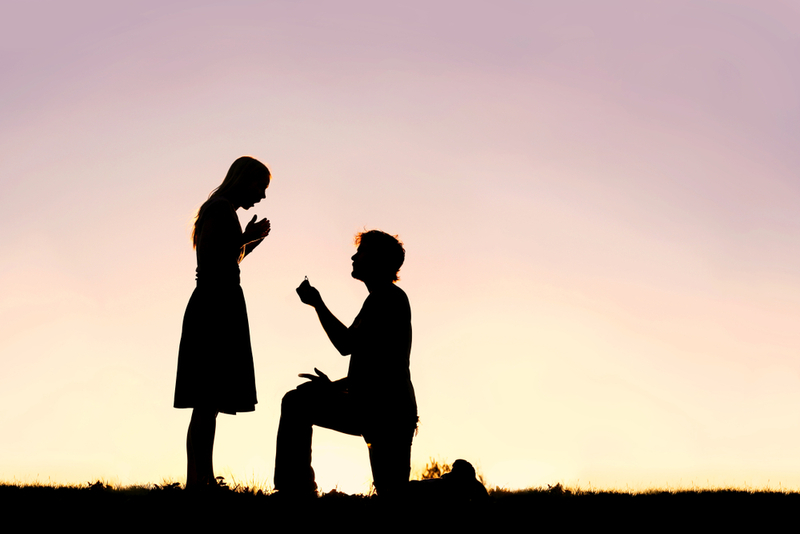 They can help you come up with your own exciting proposal quickly. 1. On the beach at sunset. With the waves crashing onto the shore cheering you on, there is no place that provides a more beautiful backdrop for a proposal. If you live near the ocean, make it a part of your special day. Spend time at the beach right as the sun sets and then pop the question. You’ll bask in the beautiful orange orb’s light as your partner says “Yes!”. 2. During a picnic at your favorite local park. Make it an unforgettable meal and occasion. Pack your favorite picnic foods, a big blanket to spread out on, music, and even some books. Create a comforting, safe atmosphere where time passes by slowly. Then, when your loved one least expects it, pull out the ring you purchased for them and propose. 4. At a campsite you love. If you’re more of the outdoors type, make nature part of the experience. Go on a camping trip and propose underneath the stars. It will be a memorable occasion filled with laughter, excitement, and lots of planning as you start to talk about the wedding you have to plan. There will be a lot of time for joy and discussion on the trip because you’re away from the city and “roughing it” in the Great Outdoors. This is just a sample of the places you can go to propose. It doesn’t mean that you can’t come up with your own list of fantastic ideas. Think about the person you want to marry and the things that make their personality unique. Decide what their favorite interests are and plan to pop the question while doing something that brings them immense amounts of joy. You won’t be disappointed by their reaction! Pop the question this summer in fun and creative ways. Make a big impression on the person you’re getting engaged to with the perfect proposal and ring from Westwood Jewelers. We work with you to make sure that you get precisely the stone, cut, and setting that you’ve dreamed of giving to someone else. Creating jewelry that makes a lasting impression is what we do well. Find out more about our engagement and wedding rings by looking through our website today or contacting us about your plans and telling us about your needs.